Did you choose you or did someone else tell you who to be? How did you come to be who you are? Did you choose the person you are or did someone else-society, religion, your parents-tell you who to be? Recently I served as a panelist as part of a discussion on black woman, stereotypes and the #MeToo movement. The discussion centered on the stereotypes associated with black women and how those stereotypes helped perpetuate sexual violence against black women and how those stories are or are not being told in this time of #MeToo. During the discussion the topic of black womanhood came up, specifically, what it means to be a black woman. My response was that as women, we came into our womanhood in a patriarchal society and that our womanhood has been defined by others. Men. A society that is male centered and male dominated has decided what the standards for being a woman are and women themselves have perpetuated this standard. Men have decided the standards for what a woman should be, how she should dress, how she should speak, how she should behave, wear her hair, who she should date and most importantly, her sexuality. And all of it is based on the needs, wants and desires of males. Question for you: Did you as a woman have a say in setting the standard for who you are as a woman or did you fall in line with what was dictated to you? Do you sit quietly when you really have the desire to roar because you have been told that a lady is not loud? Do you stand by when you seen an injustice being committed against others when the warrior spirit in you really wants to fight against that injustice? Do you forgo the short miniskirt that set your heart ablaze when you first saw it or do you choose the more “appropriate” longer skirt because society says that only whores wear dresses that short? My point is to inspire you to think about how you became who you are. If you are not being the woman you really want to be then I encourage you to courageously explore who you really are, what it is that you really like and what womanhood means for you and start on the path to becoming that woman. Know that you are supported every step of the way by the Divine. After all, it is the Divine who created you. A few years ago I was asked to speak at a women’s empowerment luncheon. Naturally, my message was about the innate power that women possess to make and create change, why women don’t use that power and how to recognize and activate it. During my address I made the declaration that if the trajectory of the world was going to change, it would be by the hands of the world’s women. When women got tired of the violence, the miseducation of our children, childhood hunger, sexual assault, political policy that benefits only a few and other things happening in the world and took a United stand, we would begin to see things change in the world. I still believe this today. There has never been a time in history where women’s voices, their gifts, talents, skills, strategies and our powers are not more needed than they are right now. Our world is in peril but the tide is definitely shifting. Women have been activated. All around us we are seeing women and girls get on the front lines of change. We are demanding that the powers that be hear us. As a matter of fact, we are becoming the powers that be. More women are running for elected office and assisting women in getting into elected office than ever before. We are seeing a sharp rise in the number of African American women who are choosing to run for office as well. We are seeing unprecedented numbers of women and girls engaging in activism and challenging the status quo. On this International Women’s Day, I encourage you to find your place in this time of change. You are here for such a time as this! You are well equipped to do what you have been placed in this world to do. You are smart, brilliant, powerful, strategic, skilled, talented and gifted so that you can do what you what you have been called to do. Take your place sister! You have been activated! Depending on your perspective (and what I’ve seen on social media) 2016 was a challenging year for many folks. From the deaths of loved ones to career changes to the elections, many people were just ready for 2016 to be over. Personally, 2016 was a glorious year for me. I too experienced the deaths of loved ones including my youngest brother Rocky but for me, 2016 was one of the best years I have experienced for many reasons. What made the year so glorious for me is my perspective on life. For one, I refrain from labeling anything “good” or “bad”, “right” or “wrong”, “better” or “best.” For me, these labels introduce judgment, judgment of our circumstances of life and judgment of the space that we are currently in. If you have followed my writing for any length of time you know that my perspective on life is that we are always right where we are supposed to be and that whatever is happening in our lives at any moment is exactly what is needed for our growth and our evolution into the person that we were created to be. We tend to look at the events of our lives and try to categorize them or explain them instead of just allowing them to be and looking for opportunity in them. We compare our lives to the lives of others and how we think our lives should look instead of how they actually do look. This is the point where judgment and emotion comes in. We ask the question “Why me?” and “What did I do to deserve this?” We take things personally. Whether you consider 2016 to have been a challenging year for you or whether you consider it to have been a great year, understand that 2017 will bring many of the same experiences with it because that’s how life works. People are going to die, careers will change, relationships will begin or end, and pain may be experienced, but so will joy. It will be up to you to decide how you view these experiences. Will you view them through a lens of challenge, or will you view them as an opportunity to grow into your best self? Perspective is everything and it will determine whether your 2017 is much like your 2016 or if it will truly be the best year of your life. We are imbued with the power to create the life that we want. What’s important to understand is that in this process of creating, any beliefs, fears, practices, or patterns that we hold onto that will hinder with our creation will be challenged. For example, if your desire for the new year is to save money, then whatever belief or practice that you have had in the past that has prevented you from saving money is going to come up in order for you to work through it to get to the place where you can save money. If you desire a romantic relationship but have experienced nothing but heartbreak in the past, then whatever beliefs or relationship habits that you have that have contributed to your heartbreak are going to come up so that you can work through them. Understand that it is for your good and comes up to help you get to the place where you can attract a partner that you can be happy with and sustain a relationship with. It is not here to hurt you. When these things come up embrace them and know that you are right where you are supposed to be and that what is here for you in any particular moment is just what you need in order to get to the place you want to be. 2017 CAN be the best year of your life but it will be up to you to take the necessary steps to make it so. Making plans, setting goals, creating vision boards, journaling, and the like are all great ways to help create what you want for the new year, but they are only a part of the plan. Understand that you will experience emotions, doubts, fears and many of the same things that you did in 2016. Also understand that it’s OK. Putting a system in place to help you through these times is one of the best things you can do to help make 2017 your best year. Whatever you decide to put in place make sure it includes starting your day off with a Daily Desserts to help you get in a positive mindset to get you through the day. This is part of my personal practice and I can assure you it helps tremendously when life happens! Just remember that everyday is what you make it so while working to make this your best year ever, make ever day of this year your best day! 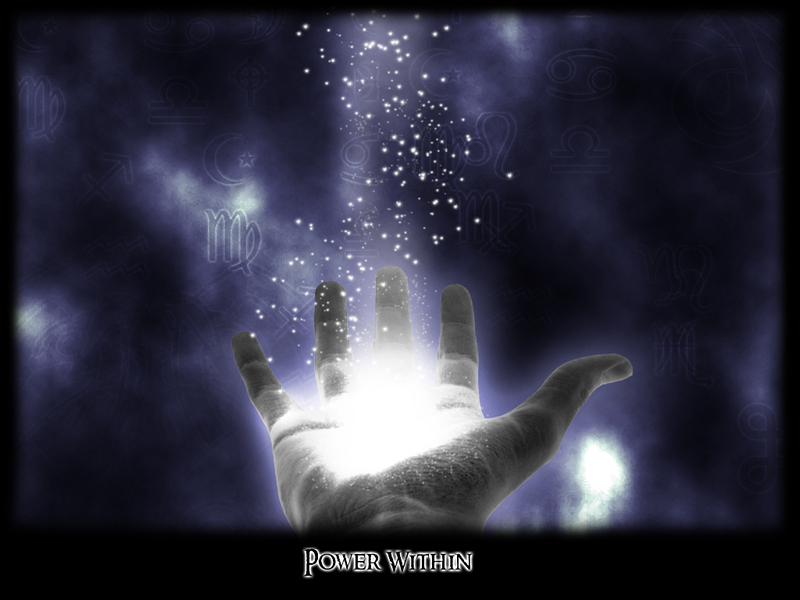 Where do you get your personal power from? Is it from an external source like your career, the car you drive, the house you live in or the number of educational degrees you have on your wall? Is it from the number of followers you have on social media or the number of “likes” your posts elicit? Do you feel powerful when you delete someone from your friends list on social media outlets? Does it make you feel powerful to cause another person pain or heartache; to possess something that no one else has? To be able to say “I told you so?” Does it make you feel powerful to impede the progress of others? To stand in the way of their success? You may be surprised at the sources of some people’s personal power. You might be surprised at the source of your own! We all want to feel powerful, to feel significant. But power that comes from external sources is fleeting. True personal power comes from within and is developed when one comes to realize who they are; it does not come from external sources. Understanding that your power source is internal and is based on your Divine nature and not on your personal possessions or any external sources is power in itself. Once you realize your true personal power, nothing is beyond your reach. Every aspect or facet of your personality, no matter how weird or strange you may think it is, is a necessary element of the purpose for which you are on the earth. The problem comes in when we look at others and see an aspect of their personality which we admire and then judge against an element of our own personality which we think is inadequate or wish was different. Naturally, we are going to feel bad about ourselves when we do that so the key is to understand that everything about us is part of who we are which is necessary to serve our purpose in the world. Magnificent Monday-Be Careful How You Treat Luv! Just a reminder to be kind to those in your life. No matter what the nature of the relationship, appreciate those that luv you and whom you luv; never take luv for granted. And while you’re being careful how you treat others, be reminded to take care of and be kind to one who matters most, yourSELF! You can’t expect others to be kind to you when YOU are not kind to you. Take a moment today to be grateful for YOU and for those in your life that luv you.